Who is up for some Biri Biri? Come to think of it, there has been lots of pretty clear blue skies where I live. Anyways, I noticed I haven't done one of these in a while. Not since I posted about Alter's Yui. 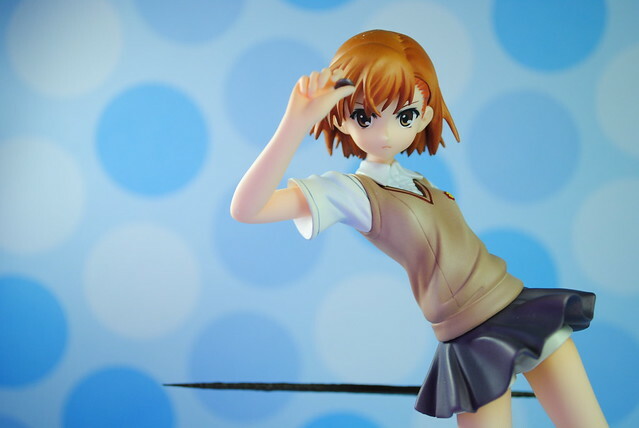 To get back into it, I decided to do a short plain vanilla flavored shoot of Good Smile's Misaka Mikoto. 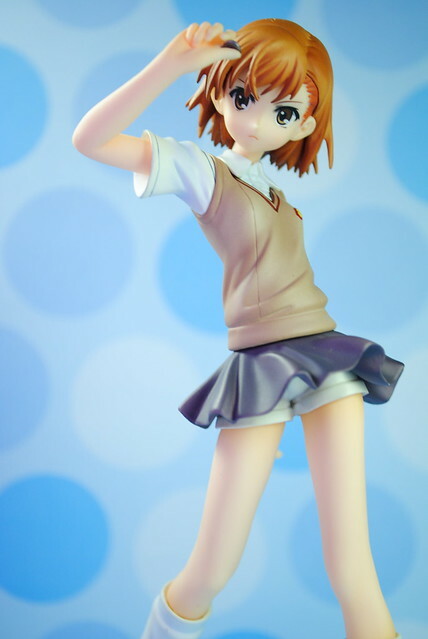 I don't remember seeing anyone talk about this figure besides Fabrice, which I always found odd given Biri Biri's popularity. This figure came out way back in July of last year and much to my surprise with no delays. Pretty cheap too at 5,800 yen relatively speaking. 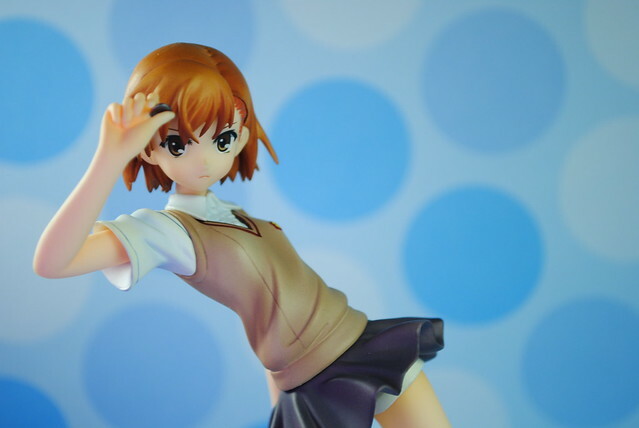 When I got my Misaka Mikoto figma and did that little "interview" with her and Aya it got me in a real big Railgun mood. Speaking of Railgun, to be honest I was not particularly fond of Biri Biri after I watched the Index and Railgun anime shows. I much preferred "Misaka-imouto". The Railgun manga differs a bit from the anime show, after the "Level Upper" arc the manga and anime go in different directions. The manga leads into what becomes the "Sisters" arc on the Index anime from Biri Biri's point of view. 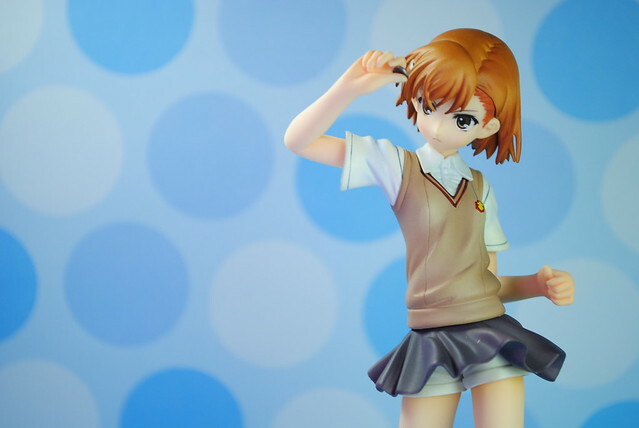 Rumors about certain military clones reach Misaka's ears and upon a question by Kuroko Misaka expresses disgust at the thought of coming face to face with a clone of herself. Then, she meets one of the Sisters and much to her chagrin what follows is both them spending time as a normal pair of sisters would. Playing together, eating ice cream, drinking tea and fighting over trivial things. Later that night, Misaka witnesses the gruesome death of the sister she just spend the day with at the hands of Accelerator. Mind you, the Railgun manga is much more bloody than either of the Index and Railgun shows. How much more you ask? Said sister gets dismembered by Accelerator. Upon witnessing this, Misaka explodes in wrath and assaults Accelerator. Keep in mind that unlike her lover spats with Touma or her previous battles in Railgun where she always held back to some extend this time it was nothing more than a berserker rage. Misaka Mikoto wanted Accelerator dead. If you follow Index in any of its forms you know that fighting Accelerator is a one street to your death most often than not. 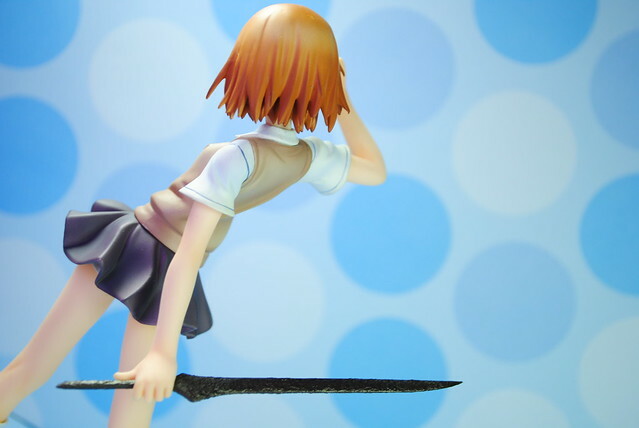 Misaka discovered this the hard way, all her attacks that would have shredded anyone else to pieces, not even her rail gun, could even touch Accelerator. When he expresses his disappointment and introduces himself you can feel the sudden fear and powerlessness that Misaka feels. 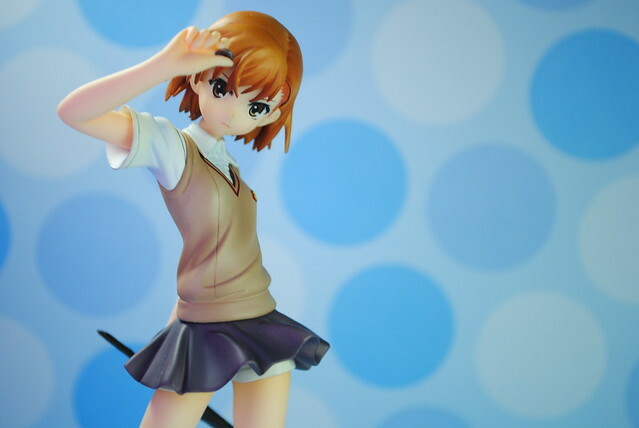 Misaka's desperate struggle to stop the death of her sisters would later lead to various confrontations against several high leveled espers including the 4th ranked level 5. After reading the manga, my opinion of Biri Biri changed completely. She is not some idealistic idiot who talks about hopes and dreams like some many other protagonists. She went through so much anguish and pain that so rarely any of this type of characters get put through. Thanks to the manga, when Misaka's "nightmare" was alluded in Index II it carried much more weight because I got see first hand what this nightmare was. It was this struggle as presented in the manga that made a really big fan of her. I do wonder though if the Railgun Sisters arc will ever get animated. After all it is much darker in tone than the Railgun anime. 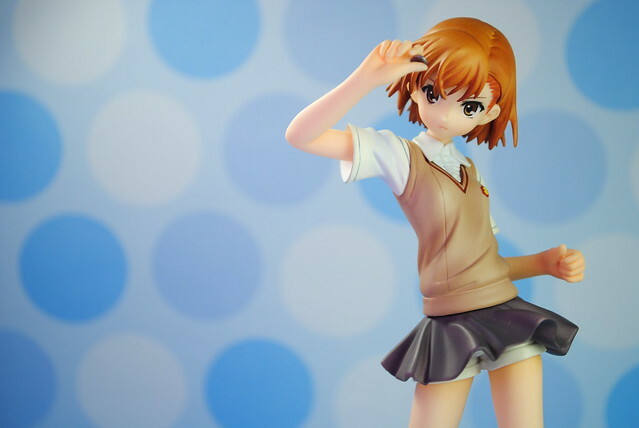 Plus the supporting cast barely makes an appearance, focusing instead solely on Misaka. Anyways enough about that, if you like Index or Railgun I recommend giving the Railgun manga a read. As for the figure itself it is a simple figure which explains the lower price. You can change the left arm as you have seen in the pictures where the iron sand sword is removable. 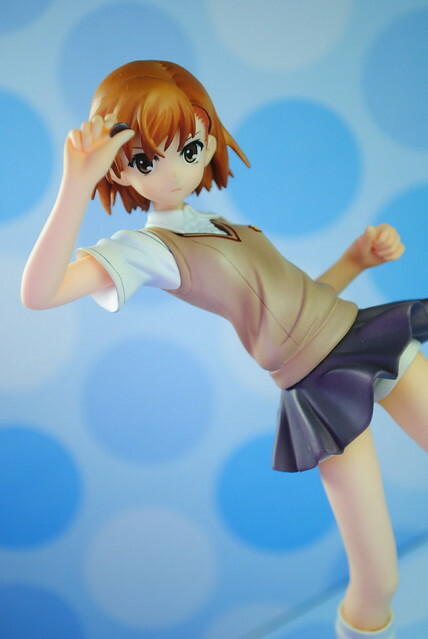 My only complaint is the ugly seam line near Biri Biri's hair line. One thing that I found really cool was the base. It's actually a reproduction of the tokens Biri Biri uses as ammo for her rail gun. 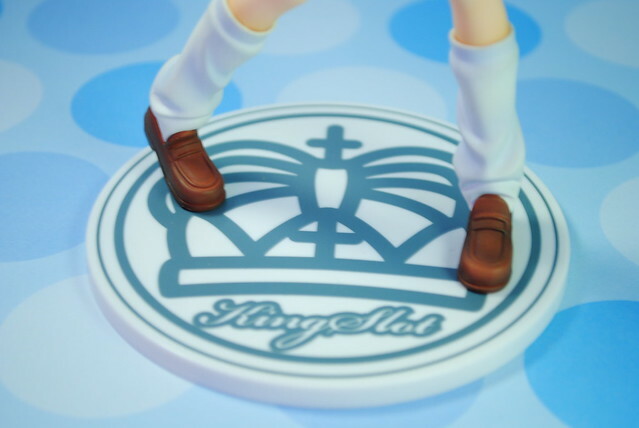 Speaking of which the token on her hand also has this pattern engraved. 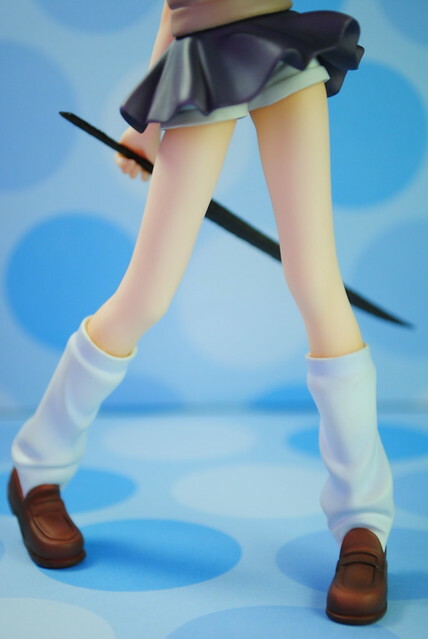 You know, Biri Biri has such pretty slim legs. It reminds me of a comment she makes on the manga. Due to her lack of other assets, she considers her legs to be her pride as a woman. 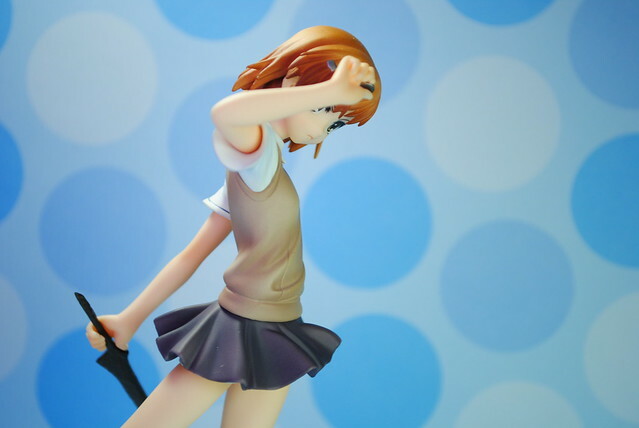 Anyways, that's that, I just wanted to talk about Biri Biri and this figure a bit and hopefully to get more people to read the manga.